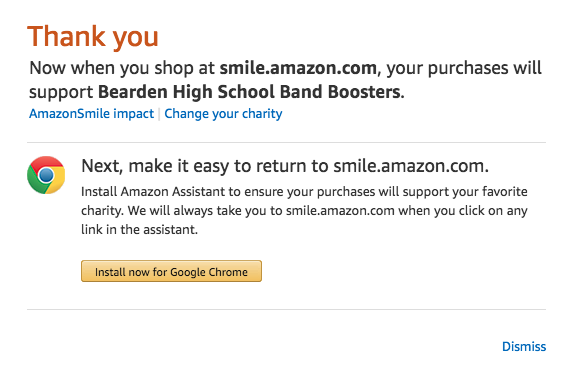 ​Amazon Smile is an affiliate program that allows users to purchase products and it gives a small portion to support the Bearden High School Band. These products are the same price as the original but by using our affiliate code it directly support the Band Program. This money goes to getting new instruments and traveling to competitions. Please keep this in mind while purchasing from Amazon Smile and thank you for Contributing to the Band Program! Sign into Amazon Smile using your Amazon account. Agree that you understand and you're good to shop!